Going to see a game live gives you a chance to indulge in guilty food pleasures, but it's not always practical. Our experts have put together a basket that will bring the fun and excitement of the ball park home. 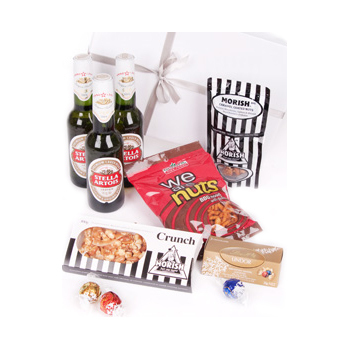 Your recipient will receive 3 stubbies of Stella Artois (330ml), a crunchy Caramelized Popcorn and Nut Bar, tempting Lindor Chocolates, and more. Prepare for the big game, give him an epic day off, or treat him just because with Sport's Fan's Dream.